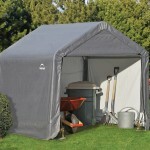 Is it Safe to Store Gas Powered Landscaping Equipment in Portable Garages? It takes a lot to keep a lawn looking like something out of a home and garden magazine. And were not just talking about weekend labor. It also requires electric or gasoline powered equipment. Many people with large lawns choose the gasoline powered ones because they dont want to be encumbered by thick cords. However, choosing gas-powered ones also involves adopting the right storage protocol. This brings us to one critical, landscaping question. Is it safe to store gasoline-powered, landscaping equipment inside of portable garages? We turned to the American Burn Association and American Petroleum Institutes gasoline storage guidelines for advice. Both strongly indicate that selecting an outside storage area is paramount to the safety of people, pets and property. So yes, portable garages are perfectly safe places to store all of ones landscaping equipment, whether its electric or gas-powered. If you are storing gasoline powered items, there are other ways to ensure everyones safety too. For instance, make sure that before the items go into the portable garage that you wipe them down first. Wiping them down will help remove gasoline residue as well as other potential fuel sources. Also, ensure that the storage containers youre using to hold spare gas meet the organizations well-published guidelines. Finally, select portable garages that are made with special fabrics. Look for fabrics that will keep out the sun, heat and other elements that may cause the gasoline to catch fire. And speaking of fire, choosing retardant materials is a must too. Although they wont stop the portable garages from catching fire, theyll at least help keep the blaze from getting out of control too quickly. To learn more about securely storing landscaping equipment in portable garages, please contact us. We can help commercial and residential property owners outfit their real estate with the perfect portable garages. This entry was posted in portable garage, portable garages and tagged portable garages on April 25, 2016 by Canopies Tarps. 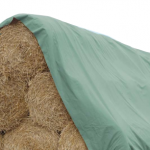 Do you own any vinyl tarps or tarpaulins? Did you know that vinyl tarps and tarpaulins come in handy around the house for a variety of things? Consider what you might do if your roof suddenly sprang a leak. As the water began to pour into your home, what means would you have at your disposal to stop the flow and protect your belongings? If you owned a vinyl tarp, on the other hand, you could set up a barrier right away. But home protection isn’t all. Vinyl tarps can be used for a variety of things. Here are a few more uses that you might not have thought of. What’s more, vinyl tarps are washable, and they come in a variety of colors, sizes, and thickness, making them perfect for all types of professions, pastimes, or hobbies. 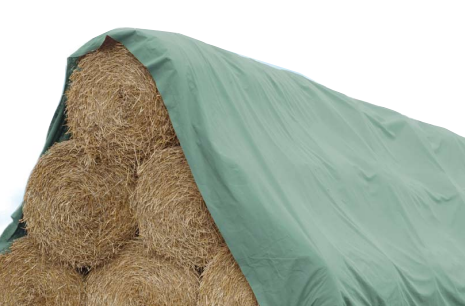 Homeowners, construction workers, handymen, outdoorsman, and just about anyone else that you can think of will benefit from having a high-quality tarp at the ready. So, if you haven’t yet, consider how this versatile multi-purpose tool will benefit you. Having a vinyl tarp at your disposal, or for any situation that arises, is the perfect way to ensure your ultimate preparation. If you need vinyl or canvas tarps, tarpaulins, tents, hay covers, party tents, or even portable garages, please contact us today! This entry was posted in vinyl tarp, vinyl tarps and tagged vinyl tarps on April 25, 2016 by Canopies Tarps. Though the weather outside may be frightful, athletic field covers are a necessity if you want to keep your investment on the right side of the fence. As winter weather continues its unpredictable sweep across the US, park and city officials who haven’t already done so, need to invest in field covers to protect their football and baseball fields. An athletic field open to the harsh weather of winter turns foul by the end of the season. In years past, if you have let your fields sit in the open winter air completely unprotected — but you wish you hadn’t — then this post is for you. 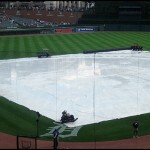 Here are three reasons that an athletic field cover can save you money and time. 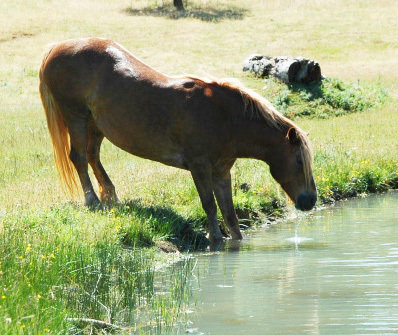 – Snow, ice, and sleet kill grass and inhibit natural spring growth. While not covering your athletic field won’t permanently ruin all of your groundskeeping work, covering it will save you from unnecessary maintenance. – The spring rains can spell disaster for your pristine and well-kept athletic fields, often rendering them a soggy and unusable mess. 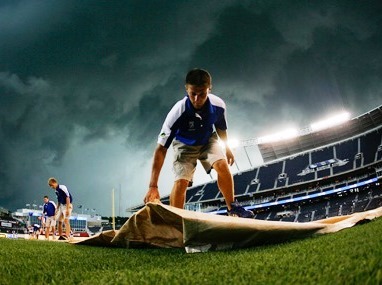 An athletic field cover, on the other hand, will enable you to begin the season on the right (and dry) foot. 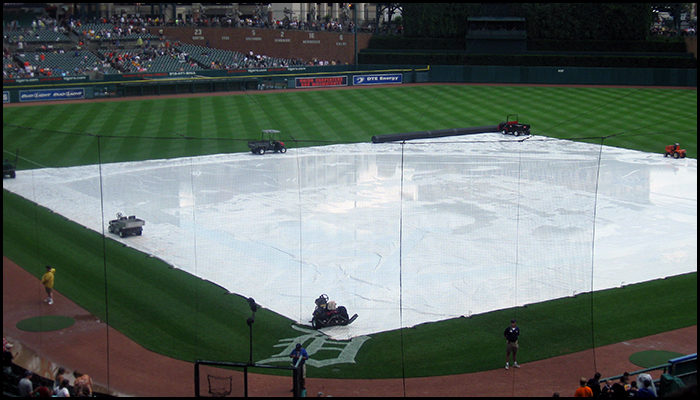 – Though athletics is the last thing you want to inhibit, an athletic field cover keeps unwanted visitors from using your field during bad weather. If you want to protect your field during the bad times and make it more valuable and pristine during the good times, an athletic field cover is your new best friend. 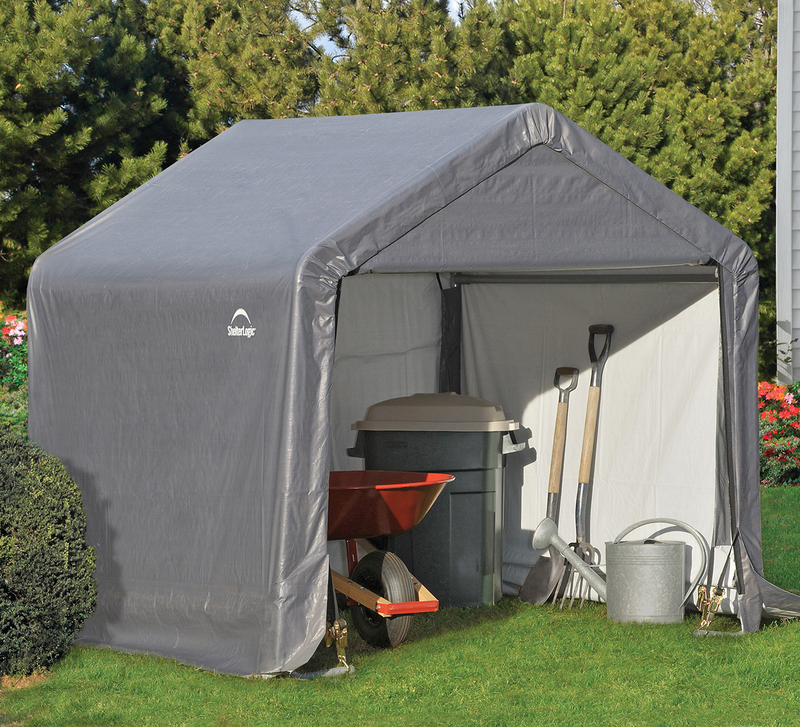 We have the latest and greatest canopies, tarps, tarpaulins, tents, and field covers available with just a click. Please contact us if you have any questions or concerns. This entry was posted in athletic field covers and tagged athletic covers, athletic field covers on April 25, 2016 by Canopies Tarps. Statistics show that each year, more than 3,000,000 children and their parents take to a soccer field somewhere in the United States. And there are solid reasons why they do so. For one, it teaches the kids valuable life lessons. Second, it helps them stay fit in a world where sedentary activities vie for peoples attention and often win. Of course we applaud those involved with the sport for that and are pleased to offer access to the finest athletic field covers. 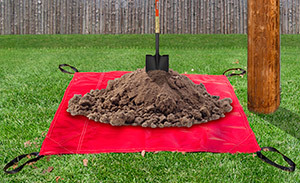 Athletic field covers help ensure that springtime soccer seasons go off without a snagged cleat or a missed game. What more could youth soccer players, their parents and fans ask for from a season than that? 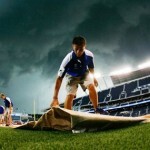 How do athletic field covers keep the soccer ball rolling game after game? Plainly speaking, they prevent fields from turning into mud pits after spring. And it doesnt take a soccer star to know how much mess a little rain can make. Muddy fields arent just messy either. They have the potential to contribute towards childhood slips and falls. As countless medical journals have attested over the years, the sport has inherent dangers, especially if the field isnt deemed safe for use. The same may be said for cleats, nets and the other equipment used to help kids get their respective games on. 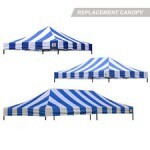 They can be protected by other means, including canopies and portable garages. In addition, the covers discourage divots and other damage caused by in-between game use. 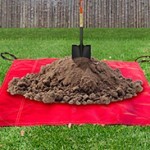 For example, stray cats and dogs will be less likely to dig up recreational areas protected with athletic field covers. Furthermore, people may be less apt to walk through covered field with their high heels or similar footwear too. To learn more about protecting soccer fields and sports equipment needed for spring, please contact us today. This entry was posted in athletic field covers and tagged athletic field covers, field covers on April 15, 2016 by Canopies Tarps. It typically crosses every anglers mind at one time or another. Yes, were talking about buying boats. Statistics show that millions of Americans own one and use it regularly throughout the year. So, on the plus side, if youre having thoughts about it too, youd have company. Of course with ownership comes the issue of storage. 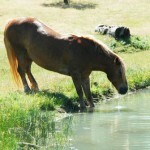 Not everyone lives on the water where wet slips are plentiful. Those that dont have the luxury of wet slip accessibility therefore turn towards other storage methods, including canopies. All boats, even the small ones, require a good deal of maintenance. 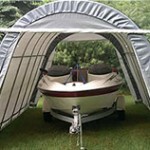 By selecting canopies that extend beyond the boats borders, owners will have protection from the elements as they work. This is important whether boat repairs are being made on rainy days or underneath the unforgiving gaze of a blazing sun. And in areas where weather extremes are common, boat owners may want to go one further. 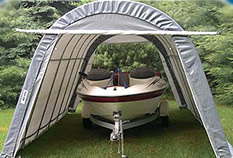 Oftentimes, portable garages or carports with side walls make better shelters for boats. The side walls keep pollen and other wind-borne debris from marring the boats fiberglass surface. Plus, it will undoubtedly cut down on routine cleaning times and related expenses. And not all canopy side walls are meant to be permanent. So, boat owners who would like to leave their vessels exposed during certain periods may prefer detachable models. To learn more about the easy of protecting boats with high quality canopies, carports and portable garages, please contact us. This entry was posted in canopies, canopy and tagged boat canopies on April 15, 2016 by Canopies Tarps. Replacing the top of your canopy can be a costly part of keeping your yard looking its best, but it is necessary if the canopy is in poor shape. After investing in canopy top replacements, you should take the time to get familiar with what kind of maintenance is needed to extend the lifetime of the replacement. The weather can do a lot of damage to a canopy top, making it important to clean the top of the canopy after each season. 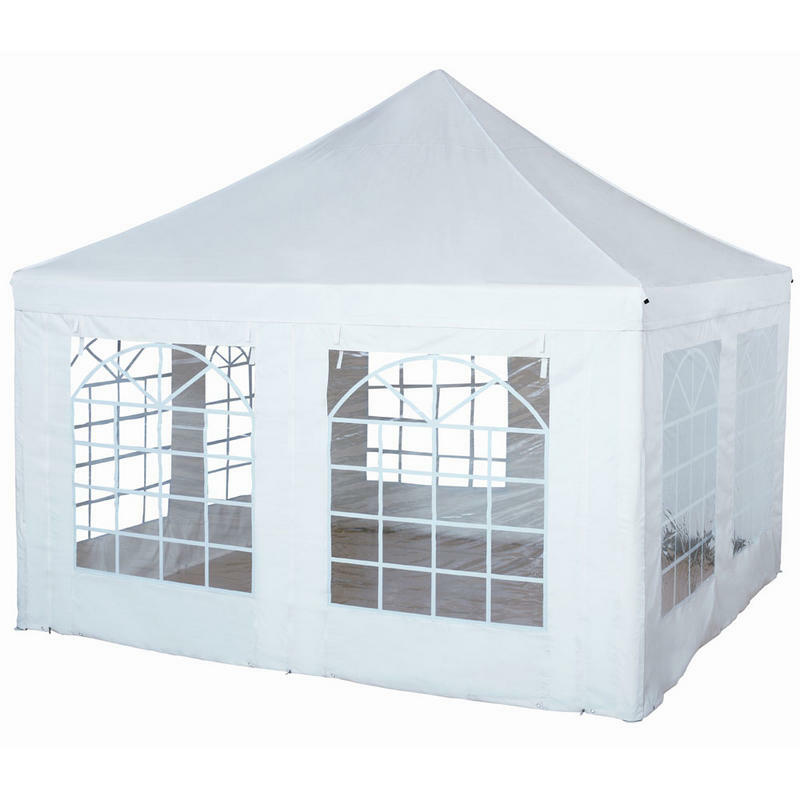 To clean the canopy, remove it carefully from the frame and wash it using a mild soap and water. 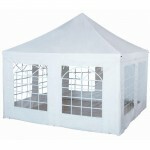 Allow the canopy to dry in the sunlight and avoid leaving it wadded up where mildew could grow. The frame of the canopy could begin to get loose after regular use, making it important to tighten the screws and fasteners from time to time. This could be done after you wash the canopy top or whenever you notice that the legs seem wobbly. With this quick bit of maintenance, the canopy can continue standing strong and reduce the need for repairs later. Similar to the kind of damage that could occur after each season, your canopy top could be damaged due to heavy wind or rain from storms. Climbing onto a ladder and inspecting the top of the canopy can help you can catch if there any holes that need patching. Contact us if you need any assistance with maintaining your canopy or need a replacement. This entry was posted in canopy replacement cover, canopy replacement covers and tagged canopy replacement covers on April 14, 2016 by Canopies Tarps.